The only gender reveal we’re happy didn’t end in disaster (or an explosion). 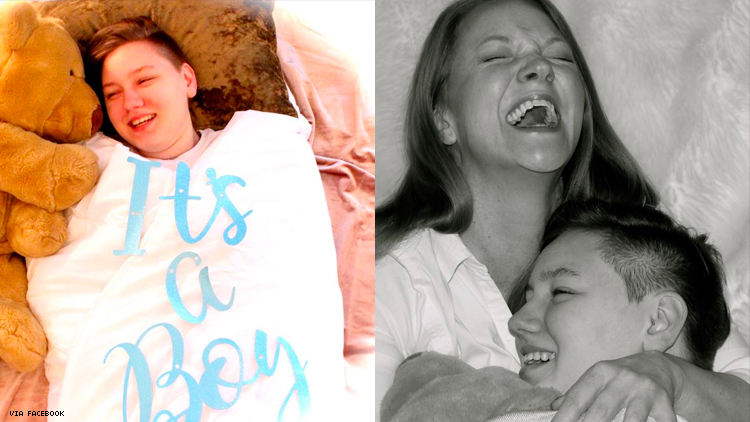 We might not be big fans of gender reveal parties for children that haven’t been born yet — not only do they assumptively gender children before they’re born and celebrate binary notions of gender, but they also often end in disaster (and sometimes explosions) — but a gender reveal party for an adult child who is transitioning? That is something to celebrate! Reading Green’s post, we’re reminded of Yolanda Bogert and Guy Kershaw, who took out a birth announcement to correct the original announcement of their child as female. “He informs us that we were mistaken,” they wrote in Australia’s The Courier-Mail. “Oops! Our bad. We would now like to present, our wonderful son.” This is how you put the A in LGBTQIA!